The Hello! Hall Of Fame awards was a glitzy evening with B-town celebrities strutting out in their stylish best. A string of A-lister celebrities attended the soiree. 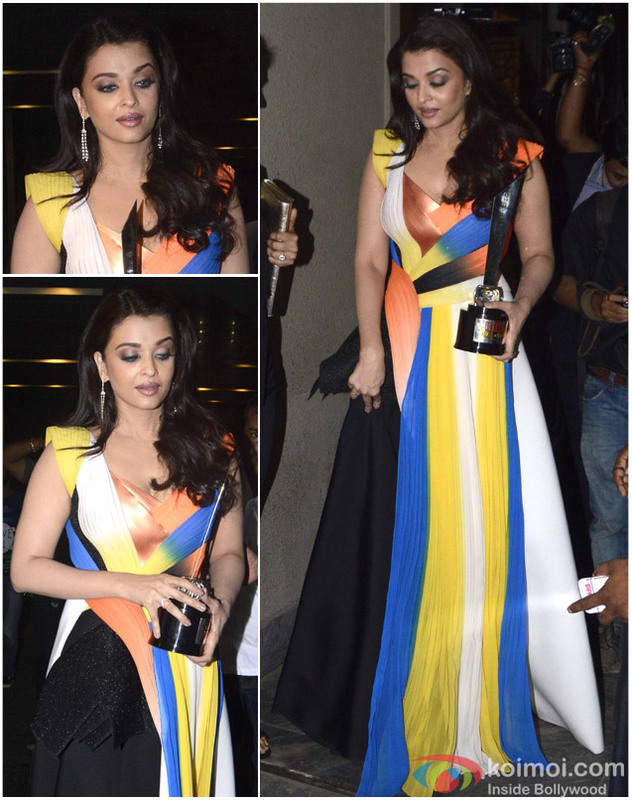 Aishwarya Rai Bachchan was awarded the Glamour Icon of The Year and was snapped in a colourful Amit Aggarwal gown. While Sonam Kapoor, who won the Critics Choice Best Actress Of The Year, chose a red hot look as she sported a red chiffon Naeem Khan gown. Ranveer Singh too, looked dapper in a suit and was awarded the Superstar Of The Year. Some of the other attendees at the event were Sidharth Malhotra, Amitabh Bachchan and Athiya Shetty.